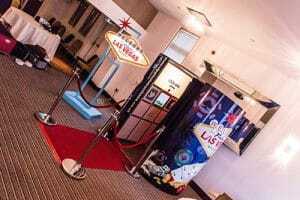 The Ultimate VIP Party Photo Booth Hire! Ideal for Weddings, Parties, or Special Events! Call Now. Hire one of our picture Booths to relive the memories of your wedding ceremony, birthday party, corporate event, Christmas party or any type of special event you might be hosting! Your friends & family can enjoy any of our various photo booth packages, bringing an added measure of fun and laughter to your remembrance. We offer aesthetically pleasing Booths with the most up-to-date technology accessible. Each Photo Booth has the capability to take both videos and photos and are equipped with Facebook and Twitter streaming to share the joy with others, as well as a green screen where you can select a backdrop to transport your guests around the globe. Party booth packages are a great way to entertain guests at your party, wedding, or other special events. You are certain to locate a package that fits both your needs along with your budget. your reception, party, or other wedding events. Our prom packages are the perfect way to preserve memories on prom night. Those kinds of memories that should stay after graduation forever! Whether you need entertainment for team building or product launches, our corporate photo booth packages offer a great way to liven up your workplace setting or spread your brand name. 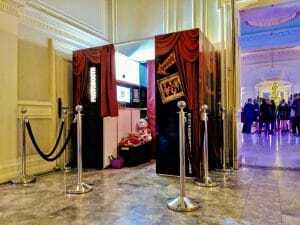 Ace of Diamonds Fun Casino Hire Most Beautiful and High-Tech Photo Booths on the Market! We offer photo booths in both Classic Oval and Square shapes. Consider trying out our Super Booth, which can hold up to 12 guests at once for additional entertainment. Every one of our picture booths comes equipped with the latest software in the industry. Personalize your photos with messages, dress up with our high-quality props, or use the green screen to choose your own backgrounds. The Easiest Photo Booth Experience Around! 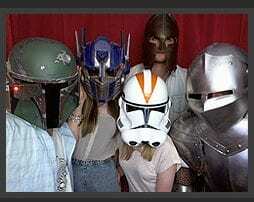 There may be a lot of considerations when deciding on a photo booth hire company. Whether it is the quality of the service, the abundance of features included, or the ease of assembly, you want the best customer experience when planning your event. akedown. Each technician is available to answer questions from guests, fix any dysfunctional features, all while providing high-quality service. At the end of your event, they will upload photos and videos to a USB stick and online guest book for future viewing. 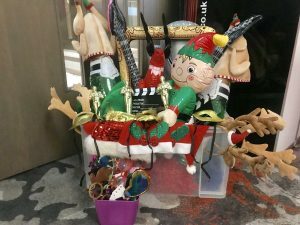 All of our photo booth packages can be delivered and assembled to any location, including locations requiring stairway access. If you choose to give us a visit, our packages are also available for viewing in our store. Please contact us for more information, advice, or questions you might have. Our Super Photo Booth comes in a beautiful, glossy black booth with bright chrome trims. Each booth fits 10 to 12 people and includes wheelchair access. VIP PHOTO BOOTH HIRE has some of the most up to date state of art booths on the market. Let all your guests leave your event with a reminder of just how good the night was. Our booths all come with Facebook & Twitter streaming and green screen technology. Green Screen allows you to select a background of your choice be it Viva Las Vegas or even your company Logo (subject to approval). The ultimate wedding entertainment for guests on your big day, our wedding booth comes equipped with high-quality props to dress up during your reception, party, or other wedding events. At Ace of Diamonds Photo Booth Hire, our team of experienced technicians will ensure your event operates smoothly, from gathering to takedown. Each technician is available to answer questions from guests, fix any dysfunctional features, all while providing high-quality service. At the end of your event, they will upload photos and videos to a USB stick and online guest book for future viewing. A guest book or memory stick of all pictures.